how many people do you think there are in the world? Coolidge and Meltzer’s friendship first began back in the 1960s, when Coolidge played drums in Meltzer’s psychedelic would-be pop band The Serpent Power. 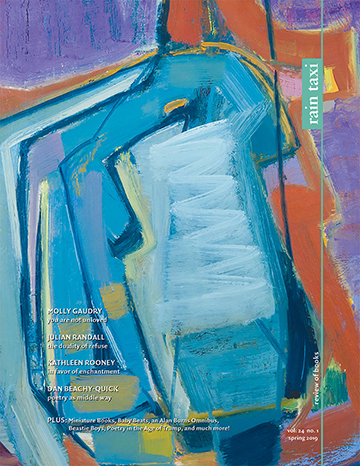 In more recent years the two poets had on occasion hit the circuit again as a poetry duo, exchanging choruses; at their best, these readings possessed a fascinating improvised structure as nothing appeared planned ahead of time, each poet reaching for their next material according to the nature of what they heard coming from the other as they read. 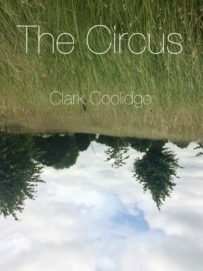 Coolidge is still drumming, now with the free improvisation group Ouroboros, and his poems in part reflect the nature of his playing—a jangly set of lines that leap then abruptly halt before leaping again as assorted references get called forth into the fray. Much of Poet is Coolidge at his most casual, allowing an abundance of name-dropping (e.g. “Gregory Corso I can hear you laughing”) while also tossing in plenty of references to popular culture, especially when it comes to film: “The apes had all left for another planet / . . . / planet of whatever the hell your talking about.” In all cases, the humor runs rampant, at times with hilarious shades of snarky cynicism, “poems of people who all hate each other.” The poetry world may (hopefully!) never be the same again. It’s worth noting how among the mostly comic take-downs of more well-known figures there are dashes of what would seem the propping up of a few lesser known, true outsiders who were as yet very much a part of the scene way back when. so what do we make? a shelf-life tryst? a loaf split into three pinballs? Both these books are admittedly much longer than the average collection of poetry. 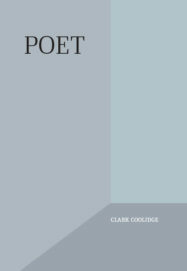 Coolidge’s Selected Poems 1962-1985 (Barrytown/Station Hill Press, 2017) was a revelation. Clocking in at nearly 500 pages, it offers possibly only a quarter of Coolidge’s total output during those years. Yet his massive oeuvre from that period has been magisterially shaved down by editor Larry Fagin (most likely with Coolidge’s assistance); the seemingly heretofore unapproachable behemoth pile of individual works is made utterly accessible. Although some collections are represented by mere snippets, each serves up prime example of Coolidgean perfection—which, it must be said, is by nature decidedly imperfect. In Now It's Jazz: Kerouac and the Sounds (Living Batch, 1999) Coolidge declares he’s hungering to read ALL that Kerouac wrote, every as-yet unpublished page from the family’s archives. He’s desirous to experience every line Kerouac ever set down upon the page. Writing, much like reading, is an all or nothing endeavor for Coolidge; he’d have you read his books in total. So don’t wait for The Circus and Poet to appear excerpted in his next selected poems—get at them now when they’re fresh and, yes, quite popping.